A clean pet is a happy pet... Along with a happy pet owner! 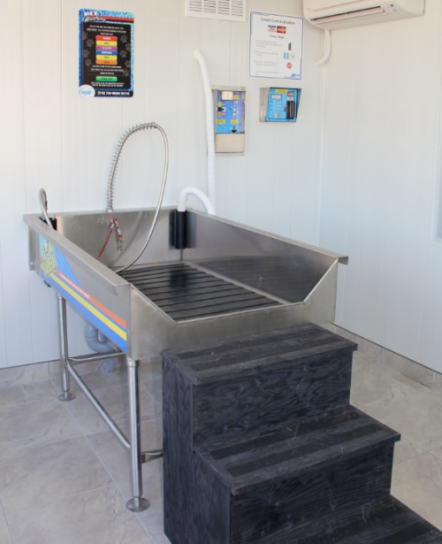 H2GO offers two independent pet wash stations so there is rarely a wait. Each room is bright, clean, ventilated and offers a stainless steel wash tub at waist height to avoid the need to bend over. Treat your pet to shampoo, conditioner and flea/tick treatment. A blow-dryer is also available.